I know, I know - so cliche. The thing is, though, last week I was interviewed by my local paper - The Santa Barbara News-Press and at the end of the interview, the woman interviewing me asked, "How has having breast cancer changed your life?" I answered,"In every single way." I've been thinking about that for about a week, and it's true. Having breast cancer changed all of me: body and soul. It's not that I've changed my life. I still eat way too much chocolate, watch tv, read the same newspapers (including the News-Press - yes, I'm shamelessly pandering). It's more that I have been changed. Let's start with the obvious - my body. I lost those pesky 7 pounds I'd been fighting for years. Nothing like a little chemo diet to get you started. And of course, the more obvious - I'm not only minus those 7 pounds, but a breast as well. No, my breast did not weigh 7 pounds - I wish! My hair might have though. It was pretty darn thick and luscious. As you know from my previous posts - not so anymore. Now it's thick and kind of like a poodle's. I also sport a Port-a-Cath in my chest near my collarbone for easy infusion and blood draw access. Yup - I'm very accessible. In addition, one of my toenails has never quite recovered from it's bout with chemo and at any given moment, I'm likely to burst into flame from the early medically-induced menopausal hot flashes. That's just the outside. The less obvious - I slowed down. 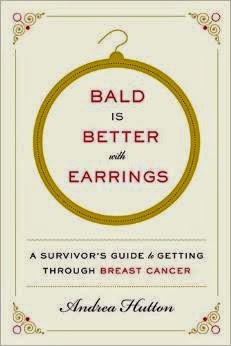 Almost every breast cancer survivor whom I've met has said the same thing. It's not that I changed my religion, or found yoga (in fact, I hate yoga). I didn't give up coffee or anything else, for that matter (except Diet Coke - my son made me do that). I just found that I can enjoy a slower pace now. It's not exactly - take time to smell the roses, slower - but it's different. Life is short and that stupid, pink, ribbon-wearing elephant takes up a lot of room in my house and mind so there's less room for clutter. When you undergo treatment for cancer, people always say, "You're so strong." Or, "You're so brave." The truth is, most of us are strong and weak, brave and absolutely terrified. And that's okay. We learn the truth about ourselves in those dark moments - and sometimes the truth about those around us. I dealt with some of it well, and some of it horribly - just like everyone else. I definitely learned how to say, "I'm sorry." That and, "I have to lie down." Not entirely sure which one I said more. So, when we moved to heaven - otherwise known as Santa Barbara - I could walk on the beach, collect sea glass, and be happy with that. For the first time, I didn't feel like I had to be outwardly productive all the time. It turns out quiet time is productive too, but it was during my year of nothing-but-cancer that I learned that. When your life is filled with doctor's appointments, blood tests, infusions, and side effects, you simply don't have the time to do everything you used to do. So you learn to do less, and that seems to stick. Then there's the not-so-obvious. I became a writer. My first blog was on www.caringbridge.org and was just to keep my friends and family up to date on my treatment and progress. Then I realized that all the information I had gathered along my breast cancer road needed to get out there. I wanted to share all the tips and hints that the amazing doctors, nurses, survivors and my own research had taught me. Never in a million years did I think I could write a whole book. Turns out - I can. I hope it gets published and out to the women who need it some day, but at the very least, I learned I can write. Cancer changed my family as well. I won't speak for them (because they hate it when I do that) but, without a doubt, we are all changed. Should I trust my oncologist?